If you’ve been learning to live with your squeaky garage door, there is good news: you don’t have to. 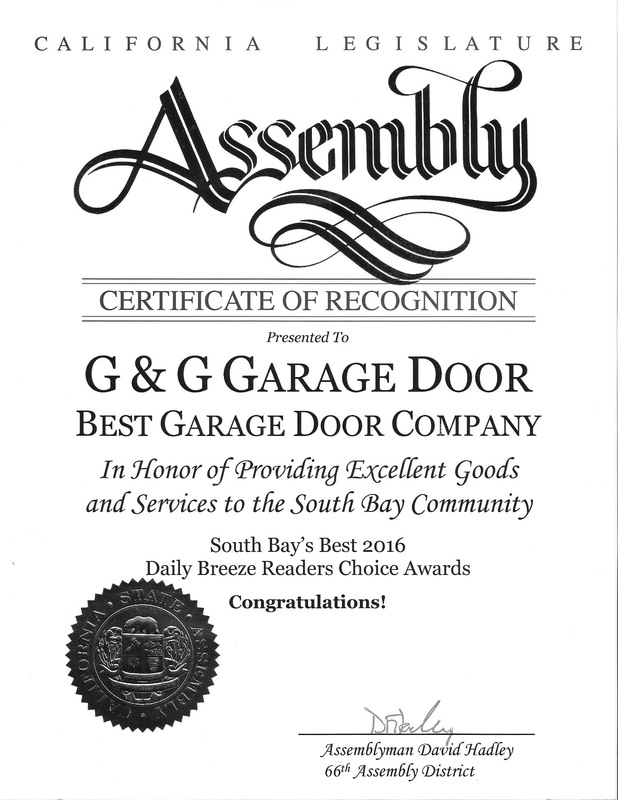 At G&G Garage Door Co., we provide customers throughout the Torrance area with the highest quality of garage door repair services and maintenance. One of the issues that we hear most frequently revolves around a squeaky door and the painful attempts living with it. Here are a few short and easy tips that you can use to get rid of the squeak. The hinges are going to be the part of your garage that are most likely creating the squeak in the first place. 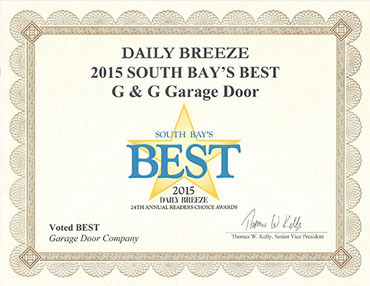 If your garage door hinges are worn out or bent, they are even more likely to be creating a squeaky noise. If you’re experiencing a squeak, always check with the hinges to make sure that this quick and easy replacement isn’t what’s causing the noise. 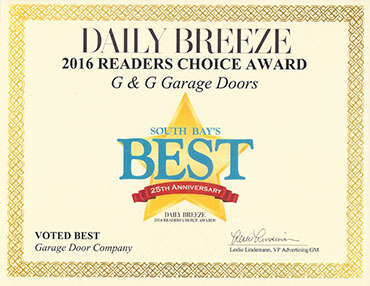 If your hinges are all in great condition, then move on to the next step of squeaky garage door fixes. If the hinges aren’t won down, and the squeaky noise is still happening, the next step is to check the rollers of your garage door. If the bearings in the rollers are worn, they won’t roll as easily, and sometimes at all. This causes the rollers to drag on the track, which in turn creates a squeaky noise. If that’s not the case, you’ve got one last option. 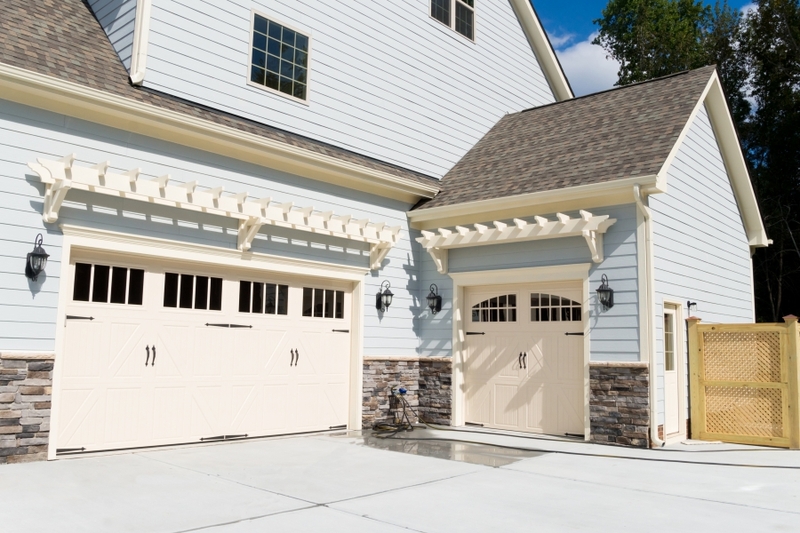 If neither your rollers or your hinges are broken or worn, then all you really can do is oil up the parts of your garage door that are squeaking. Apply a little oil to the hinges and the track and you will notice that everything moves just a little bit smoother, enough to eliminate the squeaking. If the squeaking continues, call G&G Garage Door Co. and we will come and inspect your garage door to determine why that noise is happening and do our absolute best to ensure that it stops. For any other questions that you have regarding your garage door maintenance, repair or replacement, contact our office!